Wausau, WI Estate Planning Lawyers - Crooks, Low & Connell, S.C. When preparing an estate plan, it can often be beneficial to use one or more of a number of different types of trusts. Trusts offer several benefits, not the least of which is that they keep assets out of probate. Probate is the court procedure for distributing a person’s property when they die, and it often leads to costs, delays, and disputes that may be avoided by transferring assets through other means. When you establish a trust, the trust exists as its own stand-alone entity. As a result, when you transfer assets into the trust, they become the trust’s property. However, you can still retain control over the trust and trust assets as the “trustee,” and the trust will hold the assets for the benefit of your named “beneficiaries.” Since the assets are now in the name of the trust, when you die, they are no longer part of your probate estate. As a result, subject to the terms you put in place when you established the trust, they can transfer to your beneficiaries without going through the probate process. Revocable Trusts. A revocable trust (also commonly referred to as a “living trust”) allows you to retain control over the trust’s assets during your lifetime. You can sell assets in the trust as you see fit, and you can transfer new assets into the trust as you desire. You can even terminate the trust, if it no longer makes sense for your personal circumstances. Due to the flexibility and benefits that they offer, many people choose to use revocable trusts as the primary components of their estate plans. Irrevocable Trusts. Although irrevocable trusts cannot be terminated, they offer a number of benefits that often make them desirable tools for estate planning purposes. Some common types of irrevocable trusts include charitable trusts, bypass trusts, generation-skipping trusts, QTIP and QDOT trusts, and life insurance trusts. Special Needs Trusts. A special needs trusts allows you to leave assets to a loved one who receives government benefits, without affecting his or her eligibility to receive those benefits in the future. If you have a child, parent, or other relative or friend who is disabled, you may want to consider incorporating a special needs trust into your estate plan. Deciding which trust (or trusts) to use in your estate plan requires a thorough evaluation of your personal circumstances, and careful consideration of all of the options that are available. To learn more about using trusts in your estate plan, schedule a consultation with one of our estate planning lawyers today. The attorneys at Crooks, Low & Connell, S.C. have years of experience in preparing estate plans for residents of Wausau and Marathon County. 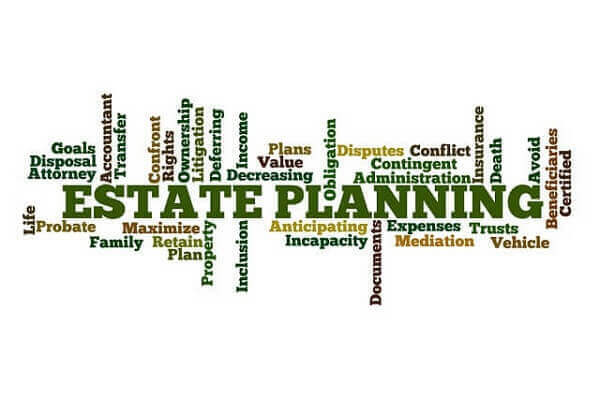 For more information about trusts and the other estate planning tools that are available, please call (715) 842-2291 or request a consultation online today.